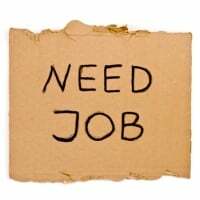 Home » Desperate: No degree, can’t get interviews! Why doesn’t she start another company? Or become a freelancer or consultant in the industry she left? Apparently in her own field she doesn’t need a college degree if she’s not looking for a “real job.” So she can get back to what she’s already been successful at. And since it appears her husband has a decent income and benefits, she doesn’t have the desperate need specifically for corporate employment that some have. If working for a company is so important and she isn’t getting interviews, maybe it’s time to bite the bullet and get a job for which she qualifies on paper, such as an administrative assistant. The benefits will kick in immediately and over time they may appreciate her talents and promote her despite no degree. If her entire problem is not having a college degree, why didn’t she use the last 2 years to work towards her degree? I’ve got a hunch that her problem is the general dysfunctionality of the recruiting process, not specifically her lack of a degree. Even with a degree she would have the same problem. Except then her husband would also hold over her how he paid for her degree. Spot on, Nick! Nice, tight description appropriate for almost anybody. I love, “But no one’s going to give you a job, because nowadays they’re not giving them out.” That sums up a lot of the problems today; people expect to be “given” a job, regardless of business need or competence or requirements. Regarding college degrees, certainly a lot of position requiring a college degree – any college, any major – don’t actually need a person with the knowledge from college to perform. However, getting a college degree today can be so easy and inexpensive*, there is a “red flag” of “Why didn’t she get a degree?” Whining about kids or whatever is not effective in an interview. * Between community colleges and not-for-profit on-line education, a tremendous amount of information is available affordably. Just make sure you don’t get bamboozled by high cost, heavily advertised for-profit “universities”. Yes, I do know traditional four year undergraduate colleges are expensive. There are lots of other ways to have a college degree on your resume. If the individual was a member of the local business community, has she used any of the business relationships she developed while building/running her business? I’m assuming she developed positive relationships throughout that time, so those relationships would be the first contacts to pursue. It’s always possible she could get a lead on some opportunities through one of those relationships. Not all jobs require a degree, but if the job posting specifically requires a degree and she does not have one, then she is wasting her time or using the wrong approach. Employers sift through lots of resumes and the first task HR does is filtering out those who do not meet the minimum requirements. If she is serious about working for a company, there are ways of getting into a company and working your way up through the ranks as she proves her worth. Successful companies promote from within where they know they already have a proven asset. Over the past two years of looking for a job, if she had started at a company in a lower position immediately after selling her business, she could have been promoted to a higher level by now. Was there even an option to stay on with her company at some level? I think the key point is figuring out who she wants to work for and do her expectations match her skillset. Does she accept/understand that even though she once owned/ran her own business, that she will be a new employee anywhere she’s goes and will have to accept the role they assign her? Some people forget they may have once been the boss elsewhere, but now they are an employee at their present company. The only other option is for her to start another business. Right on the money Nick. Re college degrees – she can greatly accelerate getting a degree by turning her professional experience and training into college credit through a credit bank. One of the legitimate schools with a credit bank and liberal policies for transferring credit from other courses and schools is Thomas Edison State College. She can then take equivalency exams and create portfolios for more credit. Then fill in with what ever classes she needs to complete a degree. A degree may help but does not guarantee a job. 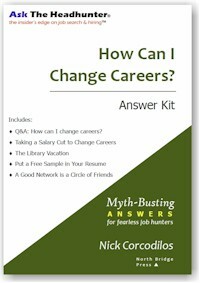 I know folks, including myself, who hold multiple degrees and certifications and still have a tough time finding a job. I think anyone who has the drive and ambition to start a business and make it profitable would be an asset to a company. You already show you know how to create a business plan, put it into action, grow the business, and make it profitable. Those skills are as much an asset as a degree. You sound frustrated and full of blame for everyone else. What you are not focusing on is what is the value you will bring to an employer? Having owned your own business, it may be hard for you to humble yourself and you may be coming across as arrogant on both your resume and in person. Try toning down how great your business WAS and list the skills you will add to the employer. Also go volunteer somewhere so you have current stuff on your resume and to show you can work with others. Good luck! I agree with Nick as to what to do now, but I also agree with the get the degree advice. My impression is unless she is speaking to one of the top level executives of the company, the manager, no matter how eager he may be to get her on board, will run into an HR firewall of “Sorry, the minimal requirements for this position include a college degree.” As this is likely set in stone in an SOP somewhere, she will have hit the proverbial brick wall. I would advocate she continue her job search, but in the interim look into the online colleges, where you can set your own time schedules according to your time and needs. (But be prepared to give up your nights and weekends for the next two – three years.) There may be schools who give credits for work and life experience that may shorten the time required. Remember, the idea is to have a degree, ANY degree, not a prestige parchment no one will ever remember that you have on your wall. I turn 61 this year, am blind and don’t have a college degree. I’ve thought about getting one but am too busy working. Yes, that’s right. I’ve been working professionally since I was in my 20’s without any real hitches. Oh, occasionally, some organization wants to hire me and then they discover I don’t have a degree. They find a way to hire me because it’s usually the CEO or Department manager that wants me to help them develop a project, solve a problem, or something. I decided in the early 80’s that if I was going to make it without a degree I needed to build networks. First of all, even with a degree, most blind people aren’t working. The interview process is ridiculous–“I can’t ask how you would find the bathroom, but, gosh, we just don’t have any openings.” In other words, if I was going to be successful I had to bypass personnel and demonstrate my value. It works, over and over again. If people would stop doing things in the same old way and wondering why they get the same old results, they’d be far better off. You computer is a good research tool but it can’t get you a job. You can judge your movement forward in the job search process by how many real people who have the potential of hiring you that you spoke to this week. The computer and job boards and personnel offices are, for far too many people, simply a way of avoiding the thing they need to do–get to know the leaders in your field who can hire you and who need you. They’ll find you a job. But, they don’t know you. @Phyllis: Thos Edison State College is an accredited, state-funded school in NJ that was in the vanguard of “distance learning” before anyone knew what online education was. Excellent suggestion! One other education gambit, if it’s what someone wants to do, is to get as many credits as possible through Thos Edison, then transfer to a “name” school for the sheepskin. Though I don’t think that would matter much. “degree required” is usually in the job description because an HR clerical-type has asked the hiring authority, “How about a degree?” and the reply has been something like, “Might as well” or “Yeah, I guess so.”…bingo, it just became a poured in concrete rule that gives either a applicant management system or a low-level HR rookie a reason to say no. They love it. “no” hardly ever gets you in trouble. An, of course, get the degree. A college degree is as necessary today as a high school diploma was 25 years ago. Don’t be sorry! 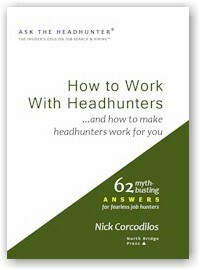 Only about 3% of jobs are filled by headhunters. Here’s the funny thing about how the world works: people will tell you to get a degree as a first step, but then once you get the degree, you need experience. Degrees are low hanging fruit for HR people and many managers to weed out people. that have escaped the academic monopoly. One can pass CLEP tests and get out of most of the general education requirements that make up the first 2 yrs of college. LW should contact her community college and find out when / which CLEP tests are offered. Plenty of subject-specific CLEP study guides are available at the library. She should find out exactly how many CLEP tests can substitute for classes at her community college toward a degree. She could have her Associates in months! Then it is up to her whether or not to go for a Bachelors degree. It is probably a good idea if she wants to work for a company instead of starting a new business. While earning her degree, she could get a survival job to get her husband off her back. Good luck to her. I’d say correct for the first paragraph and incorrect for the second. A degree* is required ONLY to get past HR. If you’re going directly to the hiring manager and they want the solutions you bring, they’ll either work past HR (make an exception or create an identical job without the degree requirement), or they won’t and you’ll get a big indication of the quality of the company. I have my degree now. It is nicely framed and sits in the back of the closet, gathering dust. I can now answer IQ#27 with the affirmative. Does it help me get a job? Unlikely, because I generally avoid HR whenever possible. *Note: some careers (especially science) require advanced degrees, because of the nature of the work. A Bachelors-anything has nothing to do with a job. ** Because I started the new university with “no degree”, I had to take a bunch of low-level courses like english and government. I took graduate-level courses in my major because I’d already taken all of the required courses previously, and the university required so many hours in the major in order to get a degree. I guess I have a BS-and-a-half now. Good advice, which applies to degreed or non-degreed situations. And the point about generic HR requirements is well put. Many, not all, hiring managers don’t care about degrees, inside companies who’ve made it a policy that degree = capable. You’ve just got to find them. In many cases it can be in basket weaving, just so you have something. Nick’s point about getting a degree is also to the mark. It’s a reality, and getting one won’t kill you. I got mine (via distance learning) when i was 39 for the obvious reason that I couldn’t get my own job in the company I was working for if I walked in the door after several years working for them. Times changed as did their collective HR driven ego. In the cold light of a pragmatic day, there was no good reason NOT to get one. Further I had a GI Bill to throw at it. So I got one, working full time. And it’s a good tactic, and tool. If you successfully network to the right manager with the right mindset, you need to give that person something to work with, some ammunition to sponsor you with. If you don’t have a degree, the next best thing is you are in the process of getting one. That will make a difference and something a manager can work with to go outside of policy. I and my peer managers used this approach to good effect, so don’t assume you’re out to lunch until you get it. I think everyone gets it. 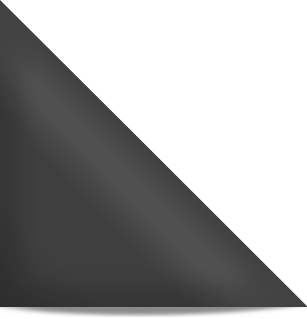 HR requires degrees, often without justification or reason. (As Bryan points out, a degree is of course sometimes justified.) Thus the only recourse, as I discussed in my column, is to avoid HR. Which we should be doing anyway :-). First off, more and more companies are recognizing that to focus on a Degree and not on experience actually has the potential to become a Legal hazard for a company by creating the potential for an Adverse Impact or systemic discrimination. 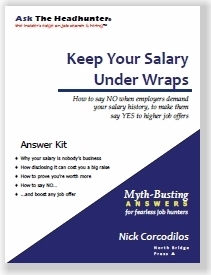 @Nick… I believe your steps can be applied to anyone really in a job search. I am conducting an “out of state” search and have identified my 4 companies. Networked, received interviews, 2nd interviews, but continually do not get the offer ( i get a lot of the we are going with an internal candidate – which i don’t deny). I now feel like a “pest” to these companies and individuals I have developed relationships with. I have never seen a job market like this…. A degree requirement that is not ‘consistent with business necessity’ could be legally challenged. Degree requirements sometimes have adverse impact and many employers are careful about requiring degrees. There have been some famous lawsuits around this. More information here http://www.eeoc.gov/eeoc/foia/letters/2010/titlevii-disparate-impacteducation.html and here http://en.wikipedia.org/wiki/Griggs_v._Duke_Power_Co. Best of luck to the letter writer. I think Nick’s advice is right on the money. I don’t see how this is a good thing as it can lead to a poisoning of the well of sorts. I would argue that if a job has been open for months, re-posted, whatever, they are not serious about hiring. And with social media, forums, blogs, etc. word can get out. Go look at Glassdoor for example. This doesn’t even include your traditional in person network. @Dave: Fake job listings have “paid employers back” with bad reputations for a long, long time. This is nothing new, unfortunately. Word gets out when they poison the well like that. It’s like a house that’s been on the market a long time – you know something’s wrong with either the market or the seller. But in any case, you know there’s definitely something wrong with the price (salary). As my buddy Peter Cappelli likes to point out, there’s no talent shortage, ever, if employers are willing to pay market prices — then they can always fill a job. No degree required in Oregon. All you need is a GED (if that – honest – 38% HS dropout rate here) and be spawned from the shallow gene pool as nepotism and cronyism prevail. (Only state w/o a working healthcare website costing over $100 million thus far – due to cronyism, nepotism and incompetence.) Go Oregon! The letter writer’s (LW) lack of a college degree is not necessarily an impediment to finding work. The question she has ask herself and answer is “what do I want to do for work?” She mentioned that she had started a business, then sold it. Does she want to go into business again? If yes, then what kind of business? Could she work for someone else when she is used to being the boss, doing things her way? For some jobs and professions, a college degree is not only a necessity but a requirement, and for many professions, an advanced degree is required. So if you, dear LW, have set your heart on becoming a doctor, a lawyer, a veterinarian, a teacher, an engineer, a pharmacist, a nurse, a librarian, then college is a must for you, and in most of those careers, advanced degrees are required. For other jobs and careers, it doesn’t matter so much. Maybe all you need is certification, not a degree. Maybe all you need is to find the right employer willing to take a chance on you and willing to train and mentor you. With many employers, it isn’t that the knowledge or skills (depending upon where you go and what you study) gained from college are important but the fact that being able to check off that box means you’re able to jump through one of the many hoops HR and sometimes hiring managers set up for applicants. The college degree requirement is used not because the jobs require one but because employers use it as a way of screening out applicants regardless of who can best do the job. If you decide to go to college, a two year community college is a good way to begin, especially if you have been out of high school for some time. Not only are community colleges less expensive than 4 year state colleges, than 4 year private colleges, than 4 year universities, and especially the for-profits, but faculty tend to know their students, there will be many others in your age range, so you won’t feel like “mom” to a bunch of 17 and 18 year olds. The community college students tend to be poorer, to work and juggle family responsibilities while they’re in school, and the colleges tend to be more flexible, offering more evening classes to accommodate their students. If you need remedial courses (which you might, depending upon how long it has been since you’ve done math and English), then those too will be cheaper at a community college than at a 4 year state college or 4 year university. Just beware that if your goal is to transfer to a 4 year school after community college, that none of the remedial courses will transfer, nor will they count towards your Associate’s degree. Many community colleges have transfer compacts with local state colleges and with the state universities, which means if you get your Associate’s degree and your grades are above a certain mark, then all of your community college courses (except for the remedial courses) will transfer towards your Bachelor’s degree at the 4 year school. It is a smart way to get all of your gen ed (general education) requirements out of the way so that you can begin your studies at the 4 year school as a junior, and be able to focus on your major. When you consider any college or university, you want to make sure it is REGIONALLY ACCREDITED. Colleges and universities in the US are regionally accredited by whichever accrediting agency governs their regions. Be wary of any college that claims to be “nationally” accredited. People get suckered into thinking that “nationally” is better than “regionally”, but it isn’t. For example, I live in Massachusetts and work in higher education. The public and non-profit colleges in MA are regionally accredited by the New England Association of Schools and Colleges. If you live in Georgia or Idaho, different accrediting agencies will accredit schools in those states and regions. You can easily verify that the college you are considering is regionally accredited by visiting their website, then by cross-checking it by visiting both the appropriate regional accrediting agency’s website AND the U.S. Dept. of Education’s website (they, too, will have a list of all regionally accredited colleges and universities). If you’re considering a professional degree program (law, medicine, public health, pharmacy, nursing, business, etc. ), then you’ll also need to make sure that those schools and programs are accredited by the appropriate professional accrediting organization. This is in addition to the regional accreditation at the college/university level. For example, at my last job, I worked for a large state university in its School of Public Health and Health Sciences. The university is regionally accredited by the New England Association of Schools and Colleges; the School of Public Health and Health Sciences within the university is accredited by the Council on Education for Public Health (CEPH). Those interested in verifying accreditation can see it on the SPH’s website and on CEPH’s website, along with information re when that accreditation (CEPH’s) expires. Law schools have to ABA accredited; Medical schools are accredited by the AMA and another accrediting organization; pharmacy, nursing, and business schools all have their own accrediting organizations. Accreditation is a very big deal; without it, law school graduates cannot take the bar exam (and therefore cannot practice law), students graduating with MPH degrees (master’s in public health) often can’t get internships, much less jobs and are often denied promotion. EDR noted that you can try to reduce the number of credits you have to take by CLEP’ing your way through. I always forget about the CLEP, since in my last job I dealt solely with graduate students (CLEP doesn’t apply at that level) and in my current job, most of the students need remedial courses, so CLEP’ing through isn’t an option. Another option, if you’re young (haven’t been out of high school too long) would be to look into seeing if your high school AP courses (assuming that you took AP courses and scored high enough) will count. Colleges will often waive courses if you took AP courses in high school and scored 5 ? 4 ? on the tests. There might be statutes of limitations on high school AP courses and test scores, but you should ask. The worst they can tell is “no”, your high school AP courses/scores from 30 years ago or 20 years ago won’t count. The other thing I’d like to mention to you, dear LW, is that today there is much confusion over the purpose of a college degree. For most students at most colleges and in most programs/schools/majors, college degrees do NOT equal job training. The exceptions are the technical schools (like the technical community college where I am now employed) for certain programs. The students in the automotive tech, dental hygiene, vet tech, cosmetology/beauty school, etc. programs do receive very specific, hands-on job training. Many community colleges now offer programs for budding electricians, plumbers, computer repair, radiation tech, and other programs that a generation ago would have been taught at a vocational-technical high school. For some jobs, a two year degree or certificate is sufficient (dental hygiene, radiation tech, vet tech, etc.). The community college where I now work also offers a nursing degree, but most of the students in it know that they will have to get at LEAST a Bachelor’s degree (BSN) in order to even get a look from employers. The trend in nursing is a push for even more education; hospitals and other health care organizations often prefer to hire nurses who have MSN (master of science in nursing) degrees, and an even stronger preference for those with doctorate nursing degrees (DNP–Doctorate of Nursing Practitioner). For public health, which covers an even broader range of jobs and employers, the MPH is the baseline degree required, particularly if you want to make it your career and advance in your field. For doctors (including veterinarians and dentists), it means 4 years of college, 4 years of medical (or veterinary or dental) school, 5-7 years doing your residency, often with a year or longer for fellowships, internships. If you’re 50 when you start college and plan on medicine as a career, you’ll be at least 65 by the time you finish your residency. There are some colleges and universities that will give you academic credit for your “life experience”. Some of these schools do a good job figuring out which life experiences translate into credits in which academic areas, while others grant the credit even to people who have never held a job outside the home and have gotten academic credit for being a housewife. I’m not disparaging housewives since many manage the household budget, and do much more than cook and clean and run the kids to school. But some do not, and get the same credit as those housewives who did the books for and managed their husbands’ businesses. Those are very different, in my mind. 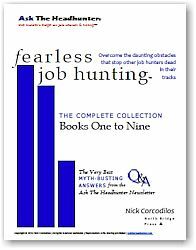 The other thing to consider even before you sign up for classes this fall is to go back to Nick’s advice about job hunting. Too many students (and their parents) think getting a college degree means they are owed a job. As Nick noted, no one will give you a job because employers just aren’t giving out jobs anymore. Pick some employers you think you’d like to work for, and when you’ve made connections in the companies, you should ask whether they require or prefer employees to have a college degree, and if yes, what kind of degree and do they tend to hire graduates from certain colleges? Some employers have preferences re which colleges (they might prefer to hire Harvard grads over UConn grads). Getting the right degree from a school they prefer may also help, although I agree with Nick that if you avoid HR and wow the hiring manager, then your degree (or lack of one) and the college from which you graduated won’t matter (unless it is for a job that absolutely requires a degree). Feel free to contact Nick for my email address if you wish to discuss college, etc. further. I’m happy to help. Nick this is sound advice. I often work with professionals from the “c” level and I am not surprised at the number of them without Bachelor degrees. Today I have noticed a trend that State Governments are dropping the degree requirements and bumping up experience requirements. I know professionals who teach in the college systems and report to tenured professors and are amazed at the lack of real world knowledge the tenured professors have. Perhaps there is good reason that the need for degrees is waning. Perhaps this is a cautionary red light for the colleges and universities in America. Just think if Thomas Edison had an Internet to know virtually what he needed to know. Heck a friend of mine just built his own solar panels from free plans online and he bakes bread for a living and has his GED.He hired an electrician to check his work and a roofer to help him mount them. America needs to rethink this degree thing or make things very relevant for day students in college. I would rather hire a person who earned a college degree at night and worked through the day (adjunct professors generally work at their occupation during the day)… my personal opinion is that the evening students “tend” to make better employees. Empire State college gives course credit for life experience. Western Governors’ University is low cost distance learning. Community/state colleges.